Something I look forward to each Christmas is going to Hallmark with my mom to pick out a new ornament for our tree. Even before I was born my mom would choose a new ornament for that year and she carried on that tradition after she married my dad and they had me. I love how the ornaments on our tree don't match, but that each of them has a story and a memory attached to it. My parents and I get along great, but we don't always have the same taste in a lot of things. The Marvel superhero movies are definitely something my mom and I agree on. Usually when my mom is sewing and I'm painting we'll put on a Marvel movie. 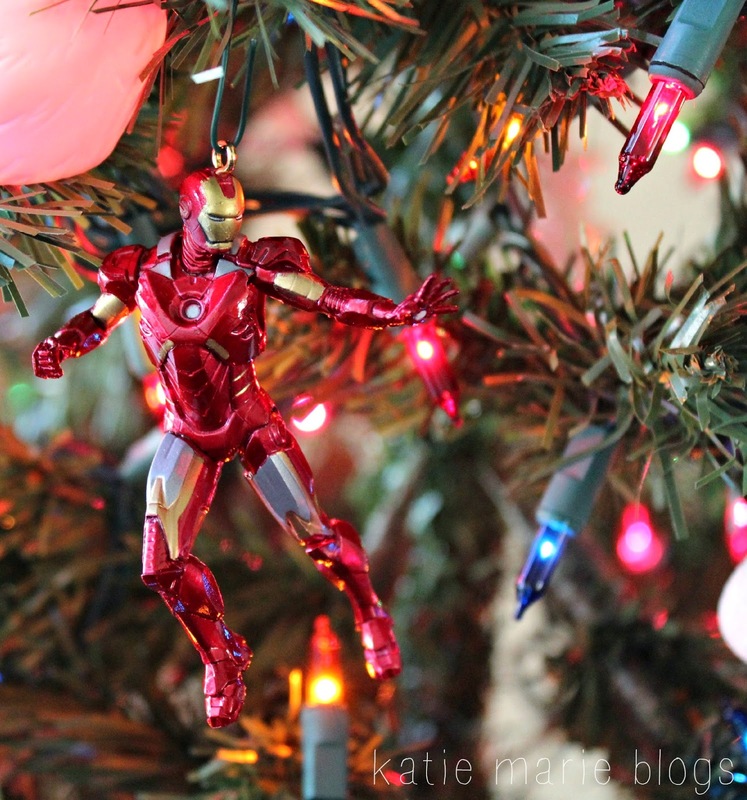 Iron Man is our favorite! My mom made this train ornament over thirty five years ago during the Winter of her first year at her job. It's small enough to fit in your hand, but it's still so detailed! I alway look forward to hanging this little guy up every year! 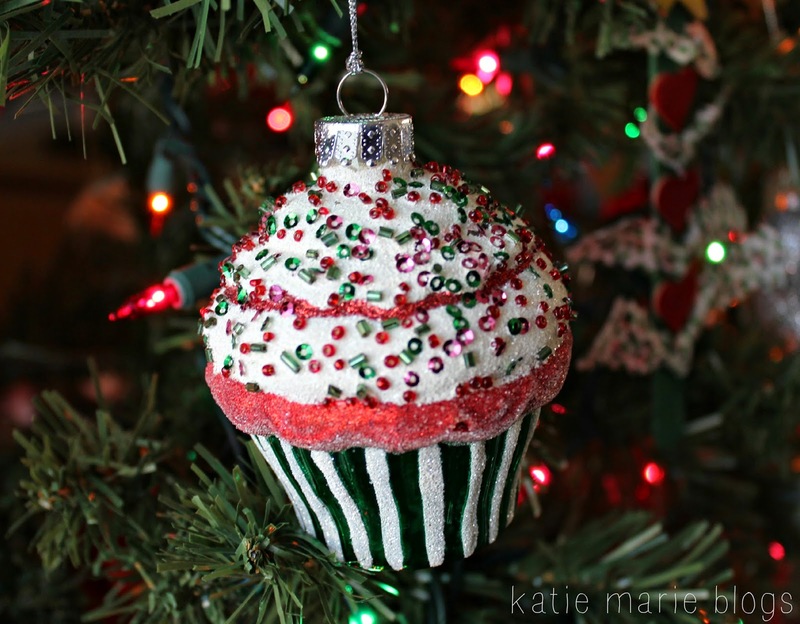 This Christmasified cupcake is from last year's trip to visit my great aunt in Michigan. She's one of the best people I know and I love being able to spend time with her and my mom. My aunt, also like my mom, gives all of us (my cousins, aunts, uncles, pretty much everyone) an ornament each year. Last year we went with her to pick out ours, which is different than any other year because my aunt loves to surprise all of us. I'm pretty sure her motto is 'the bigger the ornament the better' and I so love her for that, haha! It's easy to look at our tree and know which ones are from her. This year I talked her into a smaller (yet still pretty big) cupcake. She said she wished it were real, she wanted a bite! This is the oldest ornament on our tree, it's from when my dad was little. It's pretty beat up, but I love the meaning it holds and how it's survived all these years. 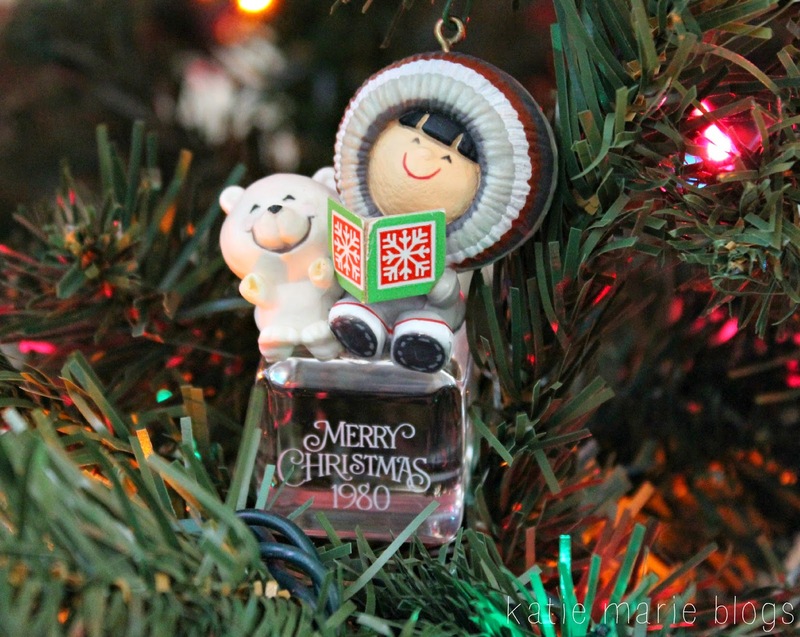 This unique ornament is from the first year my parents were together. My dad got it for my mom because he knew, even back then, she got a new ornament for her tree each year. These series of ornaments are still made and next December will be their thirty fifth Christmas together so next year I'm planning on buying the 2015 version to hang on the tree beside this one. 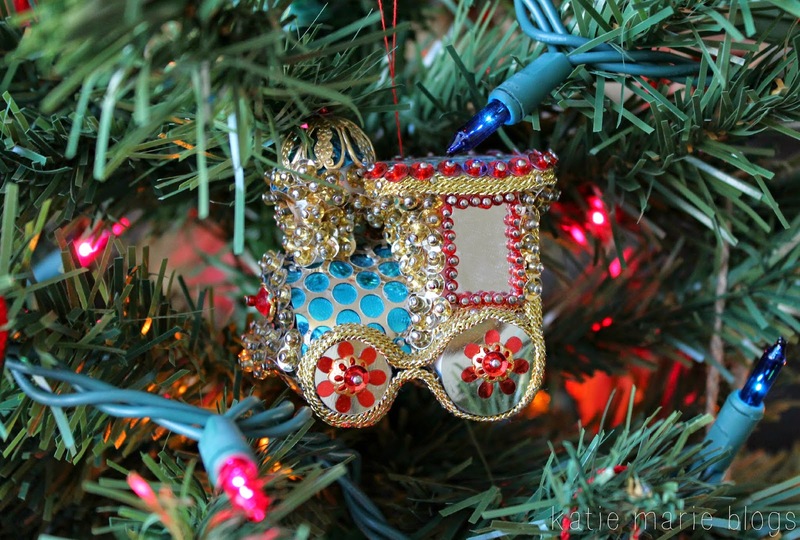 I know this ornament style has a new design/ornament released each year and I'm pretty certain the very first one was released in 1980, their first Christmas, so that's awesome too. This is my ornament for this year! I completely love it! 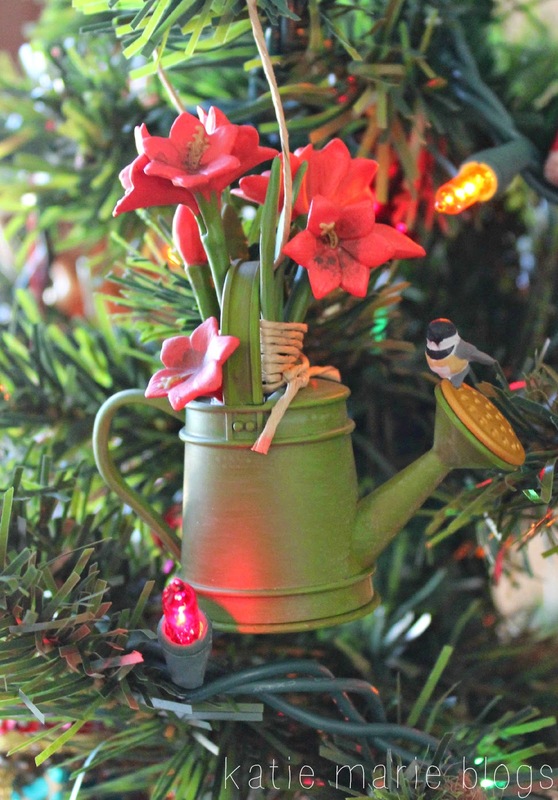 My mom and I chose it because I was really into gardening this summer so we thought it was perfect for this year's ornament! I love the traditions my parents made surrounding Christmas, especially our ornaments. 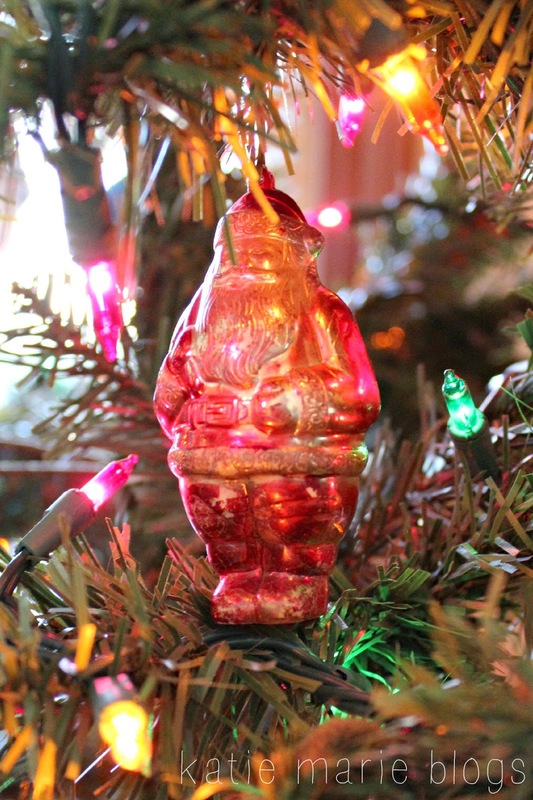 Each ornament has a story. It's amazing to be able to look at the tree and be able to find so many wonderful memories of our family's story.